Find Overall Relief When You Address The Root Of The Issue — Candida Overgrowth! Fight the overgrowth of Candida and inflammation, and support your liver with a natural Candida cleanse. Safe for kids over two years old and effective for adults, too! Lots of people are struggling with gut health these days — including yeast overgrowth and potential parasites. 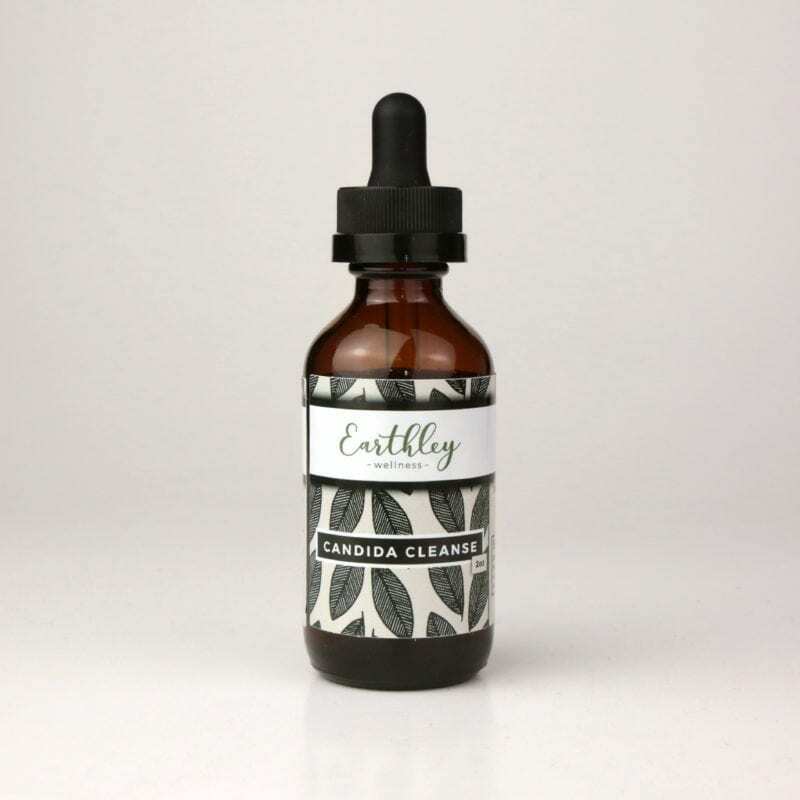 Fight yeast naturally and bring it back into balance, with Earhtley’s Candida Cleanse! A lot of the candida-specific products on the market are harsh, and can possibly cause harm if they are used incorrectly and most aren’t safe for children. Earthley’s natural Candida cleanse is different. Candida Cleanse uses safe, common herbs that have a long history of use against both yeast and parasites. Our star ingredient, clove, is both extremely safe, and extremely powerful! It is antifungal, pain-relieving, and even helps Candida to stay where it belongs, instead of in the gut where it doesn’t. Our natural Candida cleanse also fights parasites. Calendula is usually used topically and is one of our favorite herbs! It is also excellent internally. It helps to promote healthy gut function and even help repair leaky gut! Milk thistle seed protects the liver naturally, which is a big concern with any detox. If the liver and kidneys are not supported, the detox will not work and could cause harm. Finally, turmeric and cinnamon are potent antifungals, anti-inflammatories, and support healthy immune function. The result? A gentle yet effective Candida yeast cleanse formula that’s very safe for people of (almost) all ages. Feel healthy and happy again, and enjoy better all-around gut health. Learn more about anti-candida diets and how to improve your health! Shelf Life: 2 years. Safe for use for kids ages 2+. May be used while pregnant and breastfeeding (herbs are not contraindicated), but discouraged during pregnancy and use with caution while breastfeeding. I have been using this on myself and my 3.5 year old son. I am a breastfeeding Mama so I have started really slowly.. It helps to detox the body naturally without being over abrasive. I mix a few drops in my morning tea and it leaves me feeling healthy. I’ve been using it for my son to help boost his gut and immunity before he starts preK. Our whole family has been using for a couple of weeks. Seems to be working well but gently. Excited to see how our health changes as we continue using it. I have been using it for myself because i was pretty sure I had some Candida overgrowth. My cravings for sugars have seem to have gotten lesser so I’m gonna say it’s working! It is VERY strong and i was going to give it to my 5yo too, but I’m pretty sure she won’t take it! Even in water she can taste it 😉 She is very sensitive to flavor. This stuff is pretty strong from what I can tell. I just started using it and I’m starting really slowly. I noticed a bit of nausea if I don’t eat when I take it. Great ingredients and I’ll stay on it for a little while to see what differences I notice.